Discussion in 'Video Cards' started by cbroseinak, Jan 16, 2019. 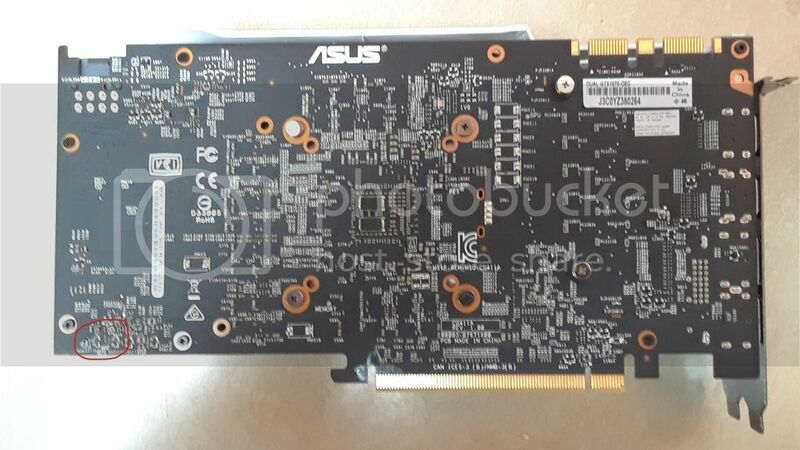 I have an ASUS GTX 1070 that I got off ebay and it has some parts ripped off the PCB and the only way to find their values is to ask someone for help. Its the ASUS Dual-GTX1070-08G model. 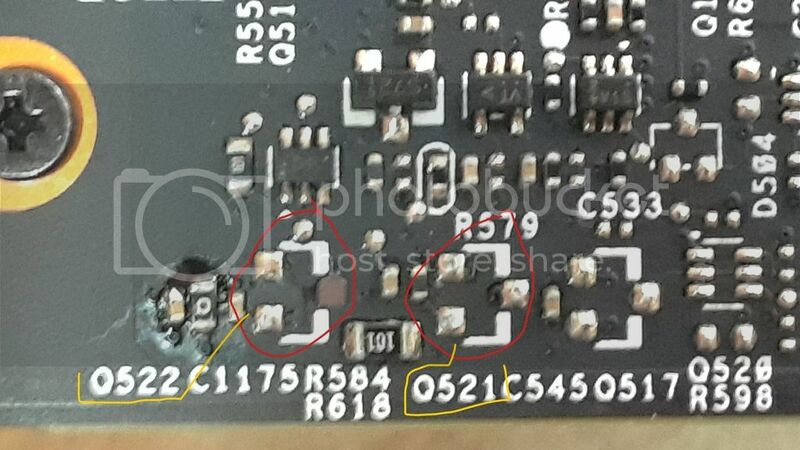 If someone could send me a good close up pic of Q522 and Q521 or component info stamped on the component so I can determine a suitable replacement. First pic is the general location area. Second pic is a close up of actual location. Thank you in advance! Contacted someone who was selling one on ebay and he kindly sent me a photo of exactly what I was after. Had to try a couple different sellers, but got it.